RAZOR SHARP SALON WEAR: CUTE SALON APPAREL- GREAT PRICES. UPSCALE. CUTE PRINTS. ADD NAME or SALON LOGO. FUN! LIFETIME WARRANTY. 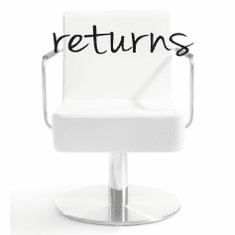 $ BACK GUARANTEE. 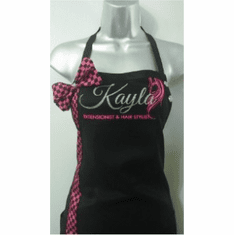 We offer a full and complete line of cute hair stylist barber groomer aprons, salon stylist barber cutting capes, and more. 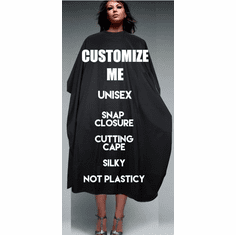 Razor Sharp Salon Wear was created by a Master Cosmetologist. Licensed in 1996, she worked behind the chair for many years wearing plain black aprons and vests day in and day out, and became very frustrated with the ill fitting garments that seemed to distract from her professional appearance. 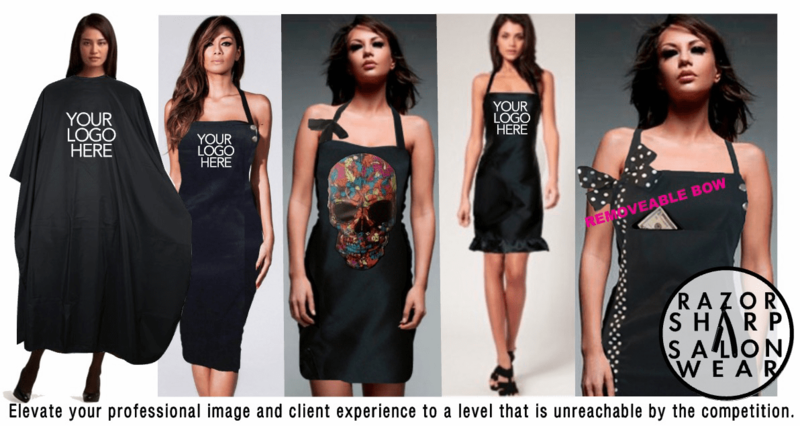 In 2007, she set out to find an apron that matched her sense of style and eventually ended up making one for herself because there was nothing on the market like what she was looking for. The other girls at the salon where she worked were really excited about this and wanted one of their own. Boom! A business was born- Razor Sharp because Razor Cutting is a ton of fun! We sold our aprons door to door when we were off work, at hair shows and on EBay to start. Our website really got going in 2009 after Premiere Birmingham hair show. We have expanded now to include all manner of hair salon aprons, capes, vests, toolbelts and logos and we are greatful for our experiences. We have been in a movie with Queen Latifah, and we have made tons of people happy. We have sold in every state and many countries around the globe. 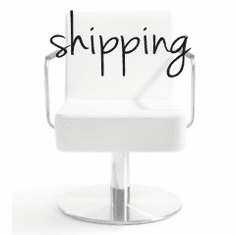 Our business has grown and we have made mistakes and are always learning a great deal about how to best provide our fellow hairstylists with quality products that you can use at a price that you can afford. We are always improving on our service and on our quality. Our stylist aprons, capes, and vests were born in a salon and their express purpose is to keep hair off of you while being cute and stylish.